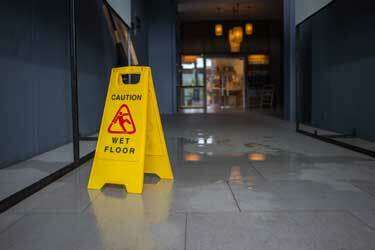 Premises liability covers a broad range of tort or injury lawsuits. These can range from routine slip and fall accident cases to negligent security claims. If you are looking for legal assistance after an accident on someone else’s property, it is important to understand premises liability laws and how they can apply to different types of accidents in the State of Wyoming. Tort or injury claims can be grouped into a number of broad categories. There’s medical malpractice, intentional torts, product liability, traffic accidents, and premises liability, among others. Each of these categories has general rules that apply to them exclusively. In premises liability, the key factor is foreseeability. Was the accident that resulted in a plaintiff’s injuries preventable? Should those in control of the property predicted that the condition could lead to someone’s injuries? Did those in control of the property create the dangerous condition? Were those in control of the property aware of the dangerous condition? If the answer to any of those questions is ‘yes’, then you may have all the ammunition you need to prove a premises liability claim. Unfortunately, news stories abound involving individuals who sustained serious injuries in a slip and fall accident on someone else’s property. And unfortunately, in far too many of these accidents, the property owner or landlord could likely have done something to prevent the accident. For example, a slip and fall in a grocery store may have been the result of employees failing to clean up a spill in a reasonable amount of time, or leaving merchandise strewn about the floor in a dangerous fashion. Grocery stores are certainly not the only locations wherein slip and fall accidents occur; indeed, these accidents can take place virtually anywhere. And, if negligence was the cause of the slip and fall, meaning that the property owner or landlord knew or should have known the condition was there, yet did nothing to mitigate the danger, they can be held liable under Wyoming law. However, it will not be simple to recover damages in a slip and fall accident. To be sure, an injury victim will need to provide convincing evidence that shows that a hazard existed, that nothing was done to remove or warn of the hazard, and that the individual sustained damages after slipping and falling. This may come in the form of video surveillance or witness testimony from those who saw the slip and fall take place. Because so much depends on the use of compelling evidence, anyone who has sustained injuries in this type of accident is strongly encouraged to contact a lawyer immediately for help moving forward with their claim. Negligent security claims are far more complex. These cases involve situations in which a property owner or operator failed to provide adequate security measures for the safety of its guests. As a result of this failure, a third party was able to commit an assault, a robbery, or some other intentional act, and one or more patrons were injured. In this case, the injured parties blame not only the individual who committed the crime, but the property owner as well for not providing adequate security to prevent the violent conduct from occurring in the first place. Liability for negligent security may result from a lack of lighting, lack of locking doors or windows, or a failure to hire on-site security to prevent criminals from performing an unlawful act on the property. Many times, what measures a property owner must take result from the foreseeability that a crime could be committed on the property. To prove that additional or different measures should have been taken by a property owner in Wyoming usually requires expert testimony to answer some of the complex questions involved in a negligent security case. Generally speaking, slip and fall accident claims are filed against a proprietor’s general liability insurance or homeowner’s insurance. In these cases, the results of a case can depend on whether or not you were invited onto the property or were there for your own reasons. While trespassers can still file liability claims against property owners, their recovery is severely limited. In some cases, they won’t be able to recover damages at all. In every case, the defense in a slip and fall lawsuit will likely be some variation of: “It’s your fault.” In other words, your own negligence helped to cause your injuries. The success of this defense depends on your conduct directly before the accident. For instance, a property owner may accuse you of running when you should have been walking over an icy surface, or you failed to keep an adequate lookout for a hazard that was obvious on the property, In those cases, the defense will claim that your actions helped to cause your own injuries. If the property owner can prove you are more than 50% at fault for your own injuries, you will not be able to recover any damages at all under Wyoming law. Your own negligent conduct caused your injuries. The Olson Law Firm helps accident victims recover damages for their injuries. If you’ve been injured because of a dangerous condition on a property controlled by someone else, then you may be entitled to recover damages. Give us a call to set up a free consultation.